J.F. "Mac" McCreery first became aware of the Rio Grande Valley during WWII while serving as a gunnery instructor for the U.S. Army Air Corp at Harlingen Army Air Field in Harlingen, Texas. (Now Valley International Airport) After World War II, Mac and his wife Ardath moved to Mercedes, TX where he opened a small flight school at Central Valley Airport in 1946. 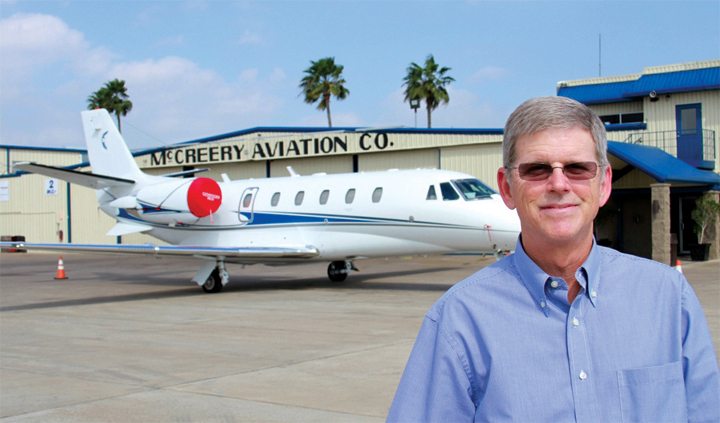 In 1948, Mac and Ardath moved to McAllen, TX and the McCreery Aviation Company was established at what is now McAllen Miller International Airport. Mac's son Bob is the current president of McCreery Aviation Company, a sprawling Fixed-Base Operator (FBO) that includes 148,000 sq. ft. of hangars, offices, FBO terminal, 550,000 sq. ft. of ramp space and a 15,000 sq. ft. hangar on the site of the original 1948 FBO offices. 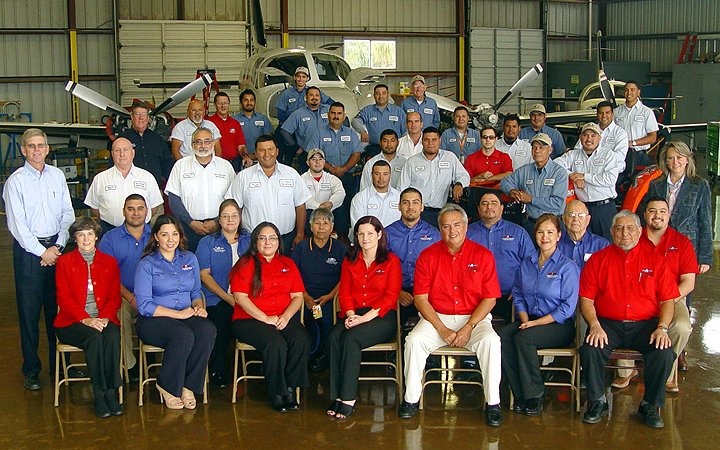 McCreery Aviation Company (MAC) will soon celebrate 70 years of committment to the General Aviation community as one of the most respected full service General Aviation Centers in South Texas. MAC serves customers in both the United States and Mexico including services such as refueling, charter flights, air ambulance, aircraft sales/maintenance as well as excursion "sight seeing" flights. Bob has kept his father's legacy alive by maintaining the operation of the McCreery Flight Academy. Highly qualified flight instructors are on staff to take you from your beginning introductory flight to full certification and your pilot's license. Come and learn to fly in the world's most popular aircraft, the Cessna 172. The entire staff at McCreery Aviation Company stands committed to providing the personal, customer-oriented service that has helped MAC to become a leader in the aviation industry.